My friend David Fischer likes moths. He has a moth sheet hanging on his back porch with UV lights shining on it at night in order to attract the attention of moths, which land on the sheet and sometimes hang there all day. Do you know who else likes moths? Why, the Pale-lipped Shade Skink does! 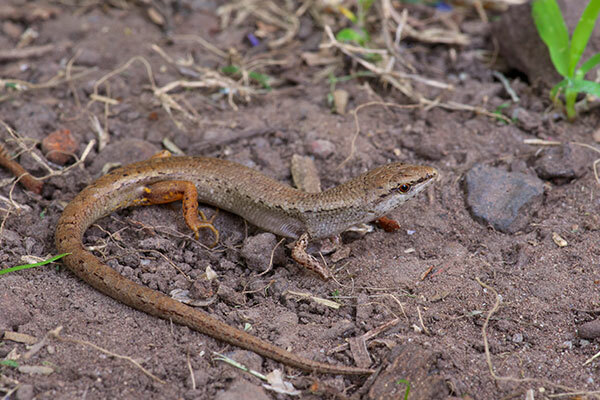 David found this skink snacking on the backyard moth bonanza.